Lisa is a keen performer with a great passion for the stage. She is primarily an actress but has a deep love for musical theatre. She graduated in 2013 with a Masters in Drama from the University of South Wales, Cardiff. During this course she explored drama through both theory and practical assignments, culminating in a major production of her own work. 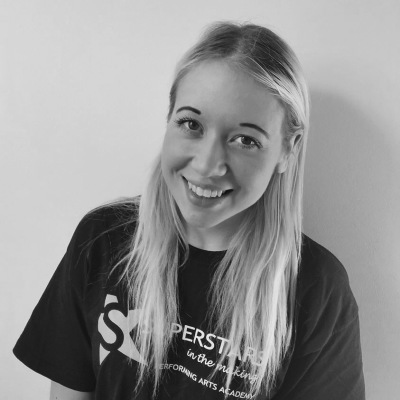 Growing up Lisa trained with Stagecoach Theatre Arts alongside many local youth theatres, and has achieved her LAMDA acting qualifications. She then continued to thrive within amateur dramatics alongside her studies and professional ventures. Some of Lisa’s previous stage experiences include Audrey in Little Shop of Horrors, Crystal - also in Little Shop of Horrors, and Urleen in Footloose. She has also played Principle Boy several times in various pantomimes. Lisa has television experience and has undertaken some voice over work. She has been involved with the Sherman Youth Theatre, and attended work experience with National Theatre Wales. Lisa is always looking to improve her skills, and has recently completed training at the Connie Fisher Academy. She has been teaching performing arts to children of different ages for several years before joining the SITM® team, where she undertook the exciting opportunity to teach the SITM® course in China. She is now back in the UK and coaching at SITM® Pontypool.